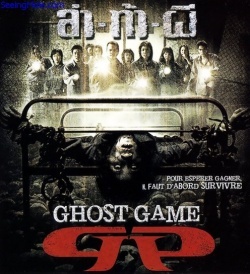 Ghost Game tells the story of 11 contestants who sign up for a scary reality show which forces them to confront the supernatural and their innermost fears. They're brought to an ancient war museum in Cambodia, which was used as a Khmer Rouge prison twenty years before. Thousands of innocent people were tortured and killed there during the Cambodian war in the 1970s. Now the museum is abandoned, and no one dares to step inside. The single winner of the show will be rewarded for 5 million Baht ($US 130,000), the highest amount ever offered on a Thai game show. Inspired by the big reward, they accept to risk their lives in the museum, confronting traps set by the show's producers, as well as those of the real ghosts whose spirits haunt the place.